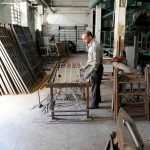 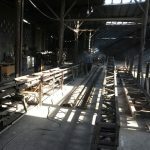 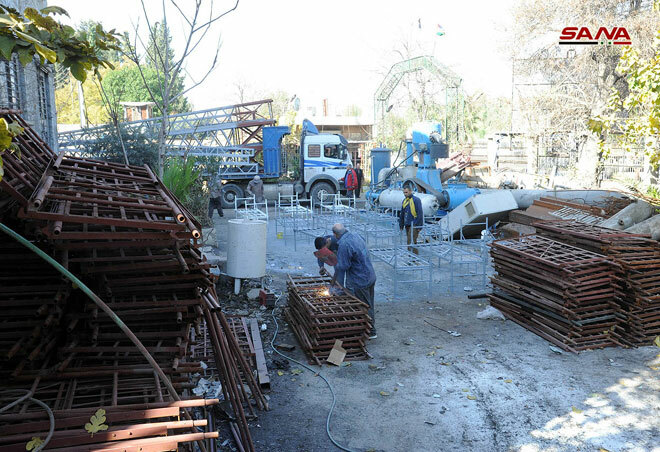 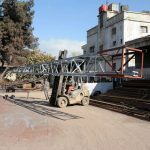 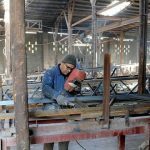 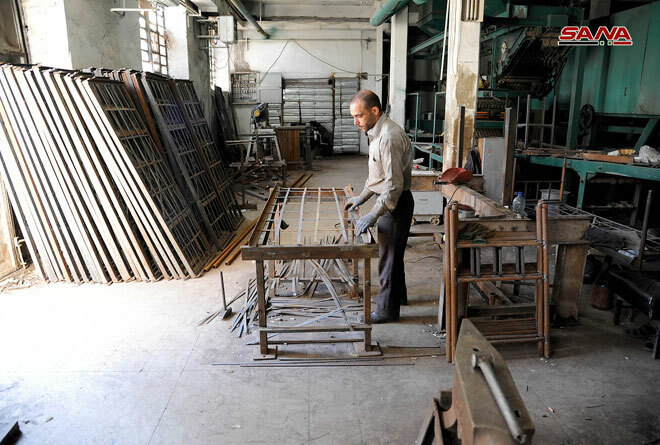 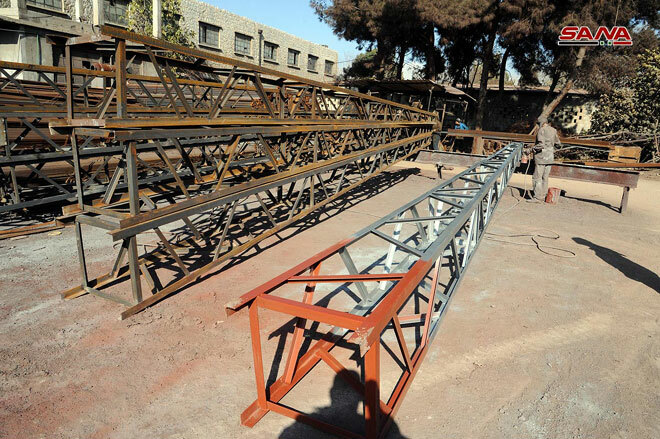 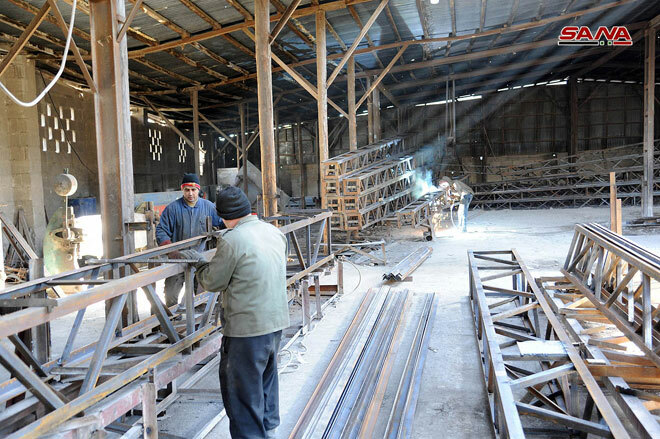 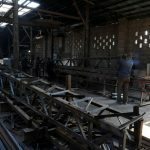 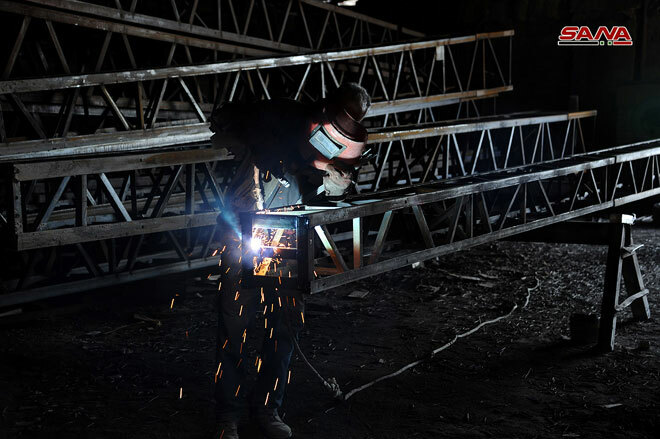 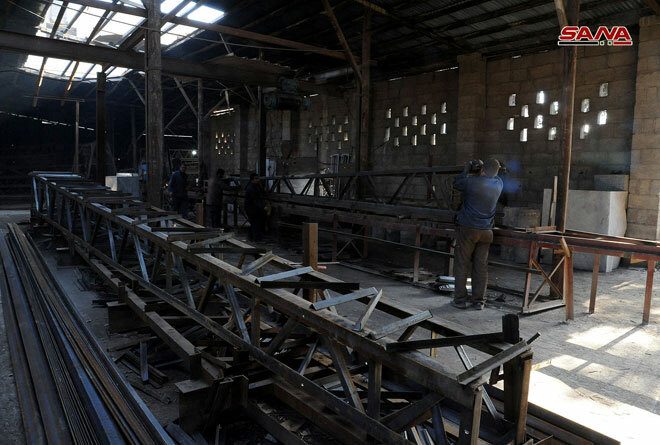 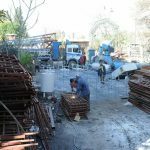 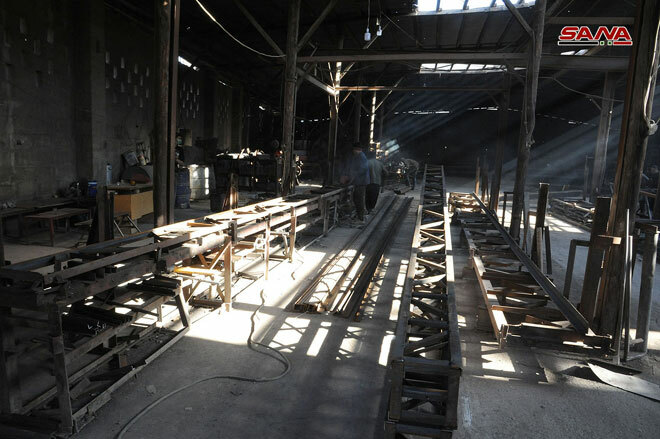 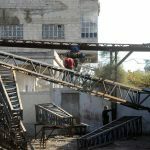 Damascus, SANA – The Metallic Construction and Mechanical Industries Company continues to supply the local market with a range of consistently high-quality metal machinery and equipment despite the terrorist attack which targeted its headquarters in Adra area in Damascus Countryside in the end of 2012. 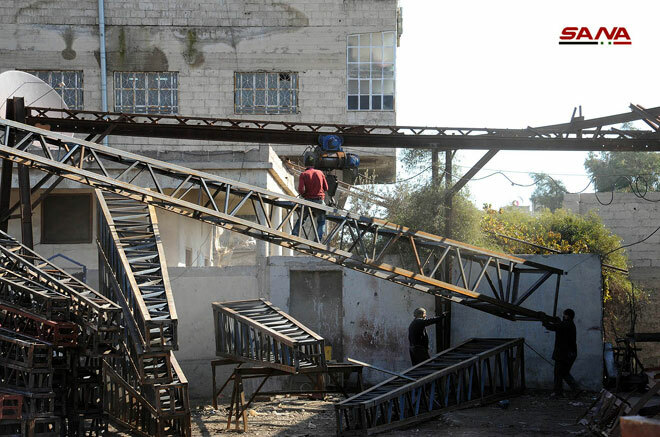 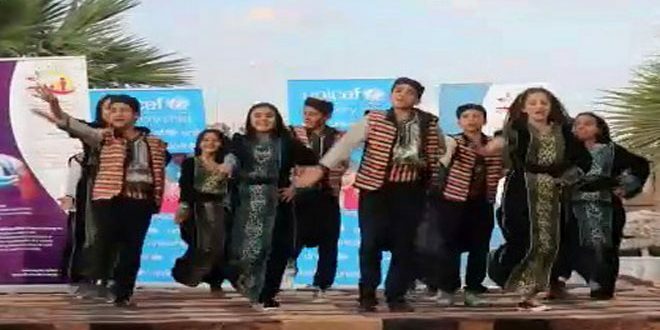 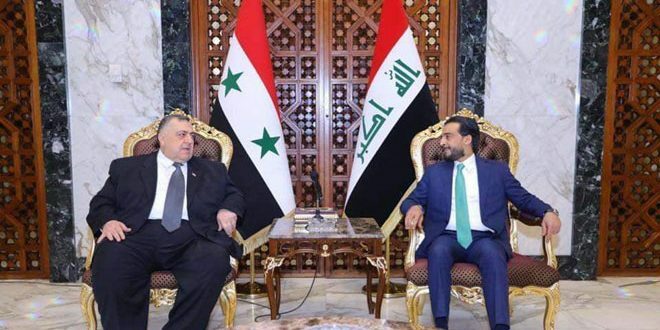 First of all, the company moved its headquarters to al-Qaboun area but the factory was attacked by terrorists after few months, so it moved to Bab Sharqi area and temporarily occupied a space of 4000 m2 as to resume its operations. 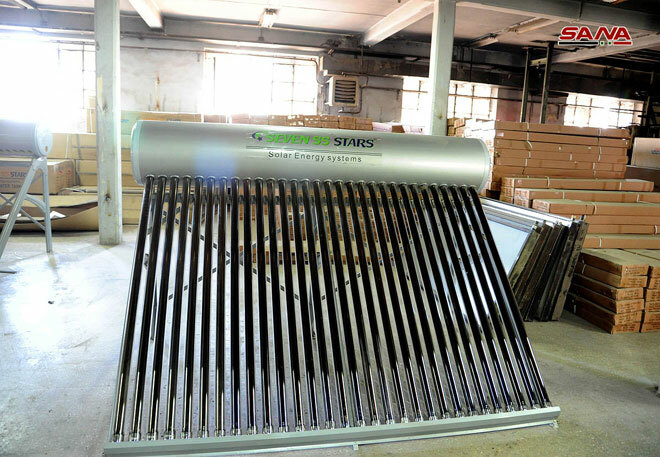 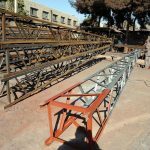 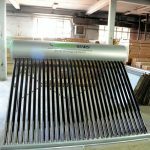 It is specialized in manufacturing metal and mechanical parts, hangars, boilers, electrical towers, solar-powered products, in addition to storage tanks for water, petroleum and diesel of different sizes and capacities ranging from 1 m3 to 1000 m3. 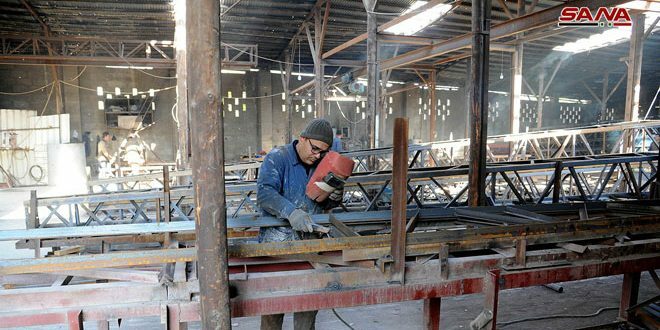 Director of Production at the company, Imad al-Agha, spoke highly of the work done by workers and technicians to execute contracts signed with the General Establishment for Electricity Distribution on manufacturing electrical towers and many others on maintaining and manufacturing boilers with Damascus University, General Organization of Tobacco and the two oil refineries in Baniyas and Homs as well as 20 state-owned institutions, not to mention requests from private companies to install solar-powered water heating panels, being the sole governmental company to manufacture high-quality products that undergo several tests to ensure they meet technical specifications. 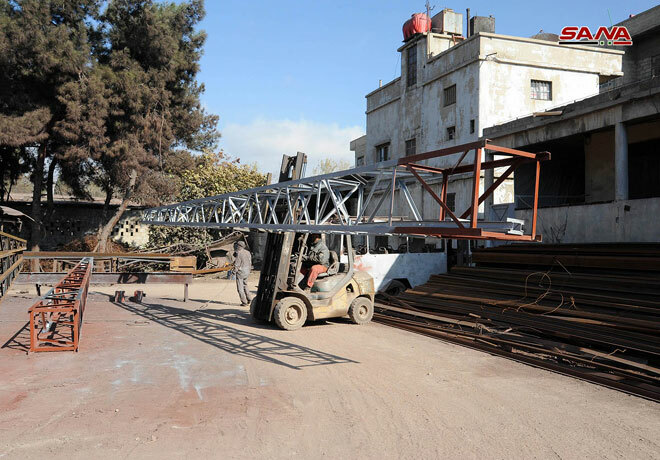 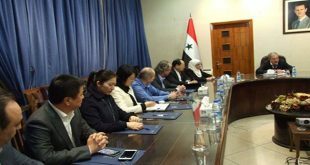 Engineer Ghassan Zubian said that the next stage will witness the repair of remaining production machines at the main headquarters in Adra area after it was completely cleaned of terrorism thanks to the heroic sacrifices made by the Syrian Arab army. 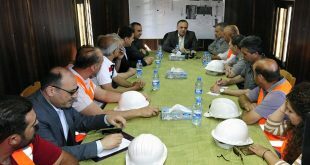 On future projects and contracts, the company’s managing director Mohammed Kamal Idlebi noted that a total of SYP 3 billion worth of contracts signed with the General Establishment for Electricity Distribution will be completed by the end of 2018. 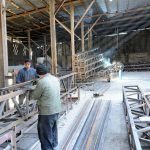 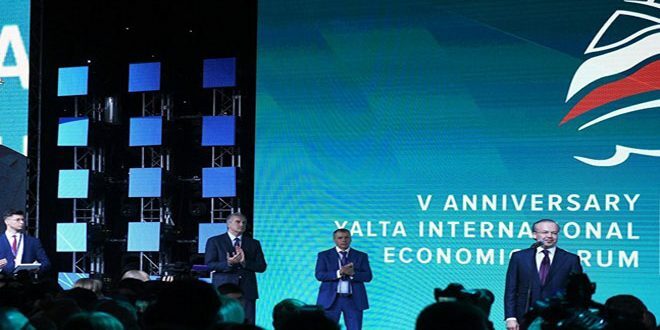 He added that the company’s overall production valued at approximately SYP 3 billion in 2018, while its sales reached SYP 3.5 billion.